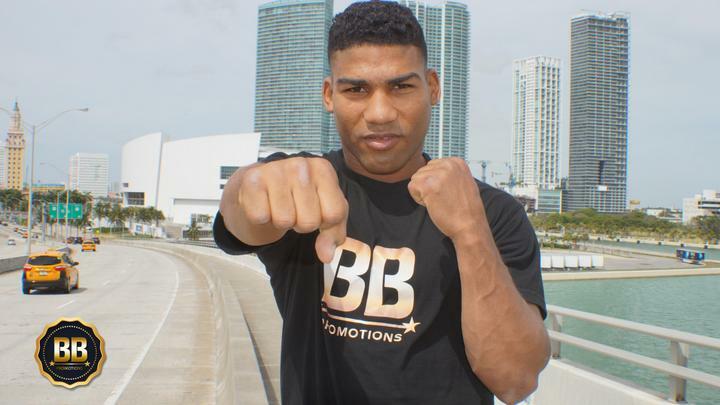 BB Promotions is pleased to announce its first signing: Yuriorkis Gamboa. Our company and the Cuban athlete have signed a contract for the coming years. The boxer is looking for a new World Championship and BB Promotions to break through the international boxing scene. The arrival of such a star as Gamboa represents the beginning of a major sport project, being the first addition to our promotional company. During the next weeks El Ciclón de Guantánamo will start his preparation camp with an eye on his toughest rivals such a Nicholas Walters or Javier Fortuna. After several years having off-the-field issues, Gamboa has regained motivation after signing for BB Promotions. Both sides met in Barcelona, and the boxer expressed his pleasure with the company’s facilities. “I want to thank to BB Promotions for making this new stage possible, in which I am sure that some important fights will be coming my way. I feel like a real part of this excellent team, it was such an experience to visit Barcelona, where I hope to base my future trainings. Until now I had never seen a promoting company work like this. I want to extend my thanks to all my fans for their support and let them know to keep an eye on our website for upcoming important news”, said an enthusiastic Yuriorkis Gamboa during the photoshoot. “We have been working a long time, we contacted several world-famous boxers as Rigondeaux, but we finally chose Gamboa because his brilliant career and style, also appreciated by the public. This project starts hand in hand with a major fighter and we hope for this to provide a huge boost. We want to popularize boxing in Spain, and we will work with Gamboa to achieve this goal. We expect this agreement to be the first of a long and successful relationship between both sides. We will keep working to sign the best available boxers. BB Promotions is a worldwide company, and even though we are new in this sector we have an excellent team full of hope, willing to work with everyone to reach the top”, said David Bogajo (Chairman of BB Promotions) about the incorporation of Gamboa to the company.